1. جامعة كربلاء / كلية التمريض / فرع أساسيات التمريض – مقدمة في التمريض. Occupational address: College of nursing/ university of kerbala. Address: Karbala AL- Hindia AL- Jadwal AL-garbi. Date Agencies Employment position No. 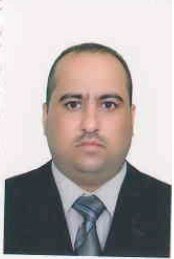 2003-2008 Ministry of health / kerbala health directorate /Imam Hussein medical city Clinical academic nurse 1. 2008-2010 University of Baghdad / college of nursing / adult nursing department. Master student 2. 16/ 2/ 2011 Ministry of health / kerbala health directorate /Imam Hussein medical city Master qualification in science of nursing 3. 2011-2012 Ministry of health / kerbala health directorate /Imam Hussein medical city Clinical academic nurse / adult nursing specialty 4. 2012- University of kerbala / college of nursing. Instructor 5. · Head of adult nursing department. 2017- University of kerbala / college of nursing. · Head of pediatric nursing department. Date Determinate Subject Department No. 2012-2013 Introduction to nursing Fundamentals of nursing / college of nursing / university of kerbala 1. 2012-2013 Foundation of nursing practice Fundamentals of nursing / college of nursing / university of kerbala 2. 2013- Fundamentals of nursing Fundamentals of nursing / college of nursing / university of kerbala 3. 2012-2013 Medical-surgical nursing Kerbala health directorate / kerbala health institution for female / nursing department 4. -2014 Adults nursing Adults nursing / college of nursing / university of kerbala 5. 2003 Baghdad / Iraq Participating in action planning conference for nursing and midwifery in Iraq 1. 2003 Arbil / Iraq Participating in workshop of educational planning and effective clinical teaching and evaluation. 2. 2003 Baghdad / Iraq Participating in the action of the first national conference for nursing and midwifery in Iraq. 3. 2004 Amman / Jordon Participating in WHO workshop action of nursing and midwifery in Amman. 4. 2004-2008 Ministry of health / kerbala health directorate /Imam Hussein medical city Committee members of continuous nursing education. 5. 2004 Ministry of health / kerbala health directorate Participating in training course of computer. 2005 Iraq / kerbala Participating as a researcher’s in the action of the first conference for nursing in the middle Euphrates 6. Participating in the action of the second conference for nursing in the middle Euphrates. 7. 2008 Iraq / kerbala Participating in the third national conference for nursing and midwifery in Iraq. 8. 2008 Iraq / kerbala Participating in training course about the leadership and communication. 9. 2011 Iraq / kerbala Participating in training course about the general employment and the principle that controlling the employee. 10. 2011 MOH/ kerbala health directorate Member of scientific committee about research reviewing. 2011 Kerbala governorate divan Member of nursing development and supporting committee in Kerbala governorate 12. 2012 College of medicine / university of kerbala Participating in the first international conference for medical education 13. 2013 College of nursing / university of Babylon. Participating in action of the third conference for nursing and midwifery association in Babylon. 14. 2013 Khalaf Ahmed AL- Habtoor medical simulation center in Dubai, United Arab Emirate. Participating in training course about the management of a simulation center in Dubai/ UAE. 15. 2013 Khalaf Ahmed AL- Habtoor medical simulation center in Dubai, United Arab Emirate. Participating in training course about the management of the shocked patient in Dubai/ UAE. 16. 2013 MOH/ kerbala health directorate Participating in action of workshop about methods for developing nursing work in/ kerbala health directorate. 17. 2014 Khalaf Ahmed AL- Habtoor medical simulation center in Dubai, United Arab Emirate. Participating in training course about the management of a simulation center in Dubai/ UAE. 18. 2016 MOH/ Medical city directorate Participating in training course about CPR. 19. 2016 MOH/ Medical city directorate Participating in action of the 1st national conference of the nursing and midwifery syndicate in Iraq. 20. Effect of Infection Control Education Program on Nursing Staff Knowledge in Hemodialysis Units in Baghdad Teaching Hospitals 1. 2015 Compliance Behaviors Among Patients Undergoing Hemodialysis Therapy in Holy Kerballa 2. 2015 Prevalence and Risk Factors of Hepatitis B And C Viruses Infection Among Hemodialysis Patients in Holy Kerbala, Iraq 3. 2016 Impact of Nurses’ Burnout on Patients’ Satisfaction with Nursing Care in Al-Najaf City 4. 2017 Risk Factors of Acute Otitis Media Among Children Less than one Year at Kerbala Pediatric Teaching Hospital 5. – English speaking, reading and writing.